Dozens of banners representing the Chinese flag were vandalized by someone in dark clothing during the night of March 25–26. 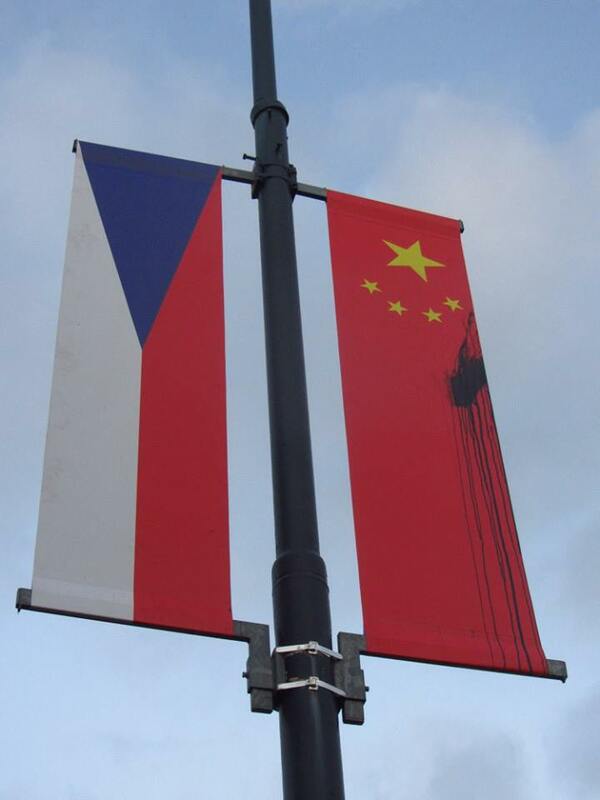 The banners are along routes that will be seen by Chinese President Xi Jinping, who is to arrive on a three-day state visit on March 28 to meet with Czech politicians. The banners were damaged with splashes of blue paint at Chotková and Evropská streets, and other locations around Prague Castle. Police are looking for the vandals. Jiří Ovčáček, the spokesman for Czech President Miloš Zeman, on Twitter blamed the opposition TOP 09 party. 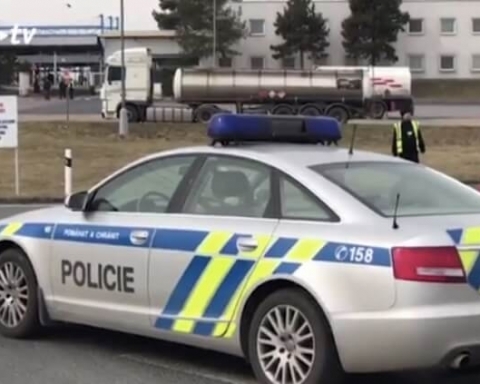 “The political and moral responsibility for the vandalism in Prague is borne solely by TOP 09; the mayor of Prague 6 sanctified such actions,” Ovčáček said. In another tweet he said that such vandalism harked back to the Second Republic, “when fascists ravaged the country.” The Second Republic was in 1938 and ’39, just before the German occupation during World War II. 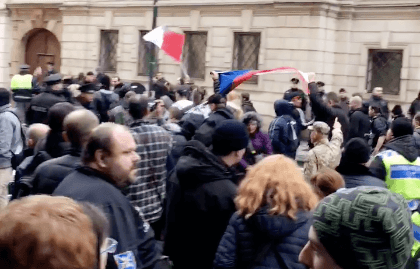 A third Tweet said that the people who damaged the flags are no different than the followers of right-wing extremist Adam Bartoš, who had a rally in Prague today with four people getting arrested. Prague 6 Mayor Ondřej Kolář (TOP 09) on Facebook has been critical of the banners as reminiscent of the communist era when pro-Soviet red-and-gold banners were required in many public places. 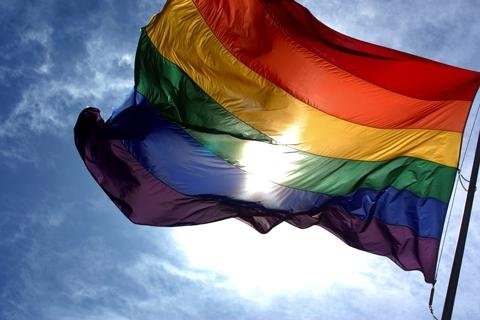 He said, though, that TOP 09 is a conservative party and cannot urge people to break the law and damage state symbols, as that brings the discussion down to a very low level. “As you sow, so shall you reap,” he said. Kolář made similar comments when two flags were damaged on Evropská street on Friday. A 33-year-old man was arrested in that case. He added that he understood people’s frustrations and recounted that he heard people in a local pub saying they could not endure five more years of Zeman as president. The flags have not yet been replaced due to the ongoing police investigation. 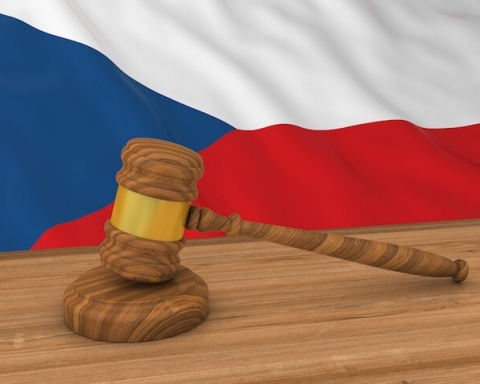 According to authorities, the most important outcome of the arrival Xi Jinping would be the establishment of strategic partnership between the Czech Republic and China, which should in the future mean an influx of Chinese investment. Several protests have been planned in connection with the visit, and an NGO has placed a billboard on Evropská street with a picture of former president Václav Havel meeting the Dalai Lama.